Steps for loading a raster in PostGIS (PgSql 9.4/ PostGIS 2.2) and pull it from database to view in QGIS 2.14.17. 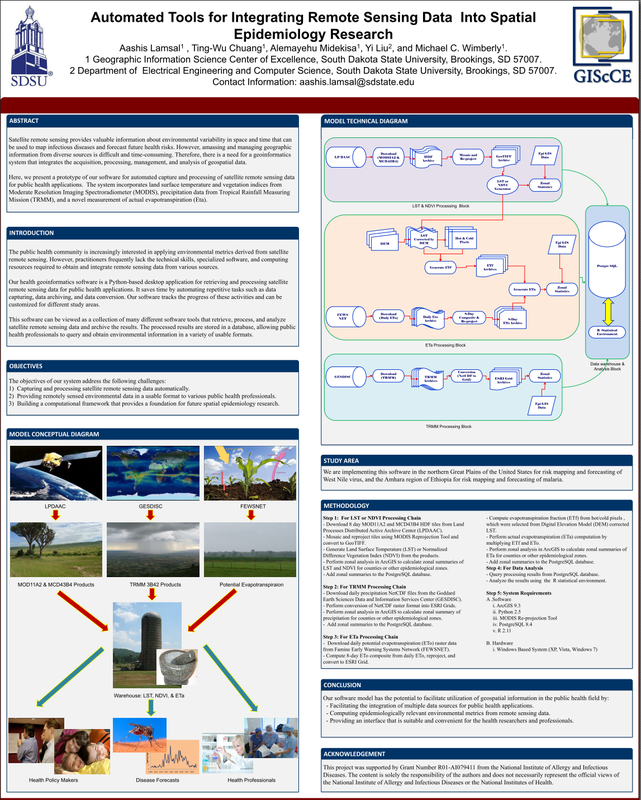 Note: The client side libraries need to be copied to ArcGIS server's bin folder. What does this mean ?? Note to see the correct version of libraries click here. 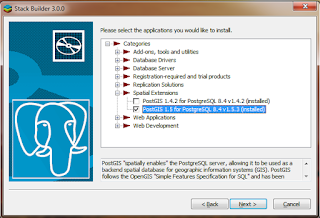 Only super user can create PostGIS extension in PostgreSQL. 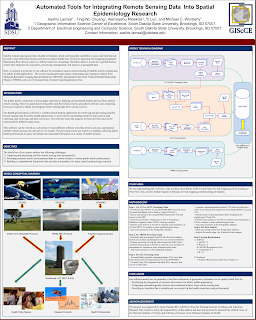 How to connect spatial database(PostGIS) with QGIS? In this section, I am showing the 3 basic steps to connect PostGIS database with a widely used open source desktop based gis, QGIS. i. If PostgreSQL is already installed è Launch ‘Application stack builder’ from startup menu in windows 7.
ii. Select the appropriate instance of PGSQL from dropdown list and Click NEXT. iii. Expand ‘Categories’è Expand ‘Spatial Extensions’ è Select appropriate PostGIS version(1.5) for the already installed PGSQL version(8.4). iv. 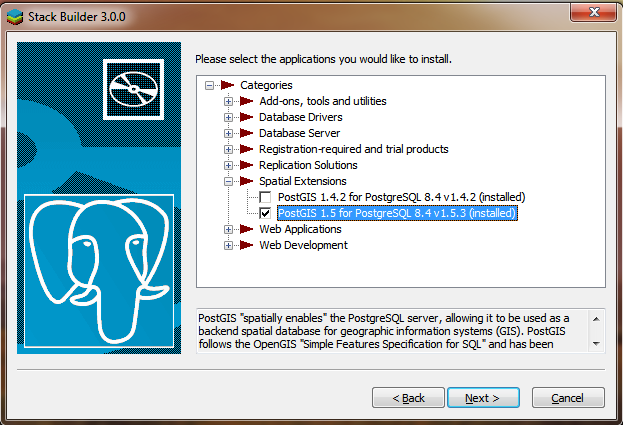 Follow the instructions to install the PostGIS extension.